Millions of people in the United States suffer from ADHD (attention-deficit hyperactivity disorder), a chronic brain disorder that results in children or sometimes even adults having a limited attention span, being extremely hyperactive and taking rash decisions or showing impulsivity. This automatically reduces their ability to meet deadlines or perform daily duties, as per usual. The study titled ‘Efficacy of a Combined Neurofeedback, Biofeedback and Go/No-go Training Intervention for ADHD: A Randomized Controlled Trial’ (now, officially, ‘Efficacy of NEURO+ Attention Training: A Randomized, Controlled, Blinded, Clinical Trial’) was led by a neuropsychiatrist at Duke University and director at Carolina Partners, Dr. Sandeep Vaishnavi. For 10 weeks, ADHD children between the ages of 8 and 13 were either assigned to 30 minutes of NeuroPlus video game training thrice a week, or to a control group that that did not receive this treatment but continued with their usual regimens. Results proved that the first group (ADHD + video games) showed a marked improvement in their behaviors, namely a better level of concentration and a reduced hyperactivity rate. The basic principle behind NeuroPlus’ system is that, via video games, it combines neurofeedback for focus, biofeedback for calmness and cognitive exercises for reducing impulsivity. Individuals with ADHD are fitted with electroencephalogram (EEG) headbands and sensors (Cz) that are specifically designed for brain-sensing, monitoring muscle tension (EMG) and activity. The bands are adjustable and designed in such a way that one-size-fits-all, up to children who are five years of age. During the course of playing, the machine tracks and provides real-time feedback, such as levels of relaxation, stillness, attention, calmness and control, to users. This is determined by measuring brain waves. There are penalties on failing and, similarly, rewards for achievements. One of the games, for example, urges players to control a dragon with their attentiveness and concentration power. The dragon will fly faster with better focus, and stop, if the players are distracted. Another one challenges motor control and patience, where a “Keep Still” warning shows up if the user is moving too much and a “Relax” signal if increased muscle movement is detected. Although made by neuroscientists and experts in the field, NeuroPlus’ brain-sensing equipment and training video games are purely to improve mental health of sufferers, particularly children, of ADHD, and is not a diagnostic or treatment tool. 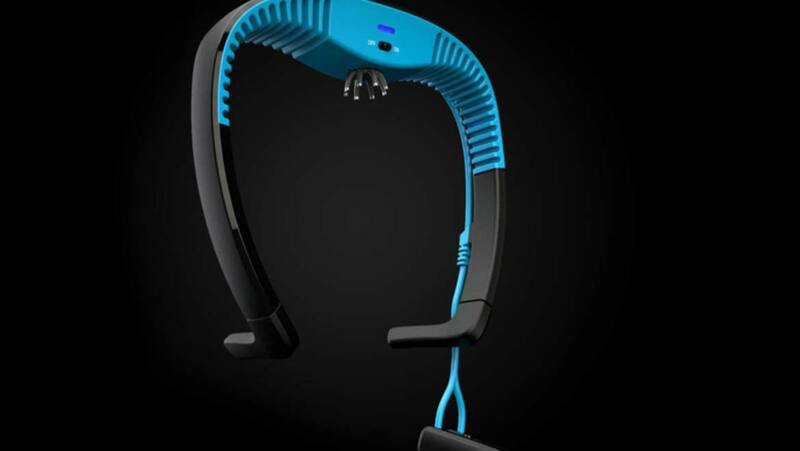 Having said that, it is with bated breath that we await this ingenious piece of technology to improve the conditions of those with ADHD, on a larger scale.